ET60 is a solid-state, low impedance, electronic voltage tester. It measures AC/DC voltages up to 600V. The ET60 does NOT require batteries; it is powered by the applied voltage. It is excellent choice for testing voltage in electrical circuits, at outlets, in light fixtures or anywhere else where AC/DC voltage testing is required. 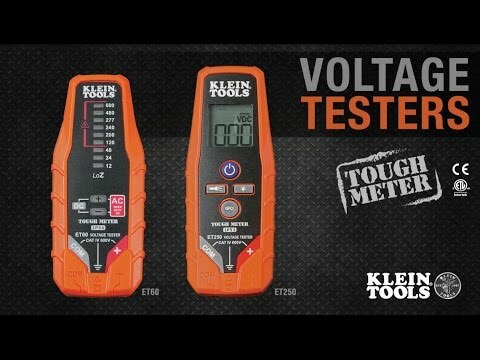 Never use the tester on a circuit with voltages that exceed the category based rating of this meter.